Want robust, quality products? That's what you get with Redback. All Redback products are made here in New Zealand, to suit a vast range of conditions. Covering Seed? These very popular Harrows come in 12mm for medium cover and longer life, or for lighter work - Check out our 10mm! Featuring 1.1m (12mm) depth, 4 (12mm) rows of 12mm chain. Need towing chains? Click here. Order now! FREE FREIGHT on Harrows, to any metro address in New Zealand! 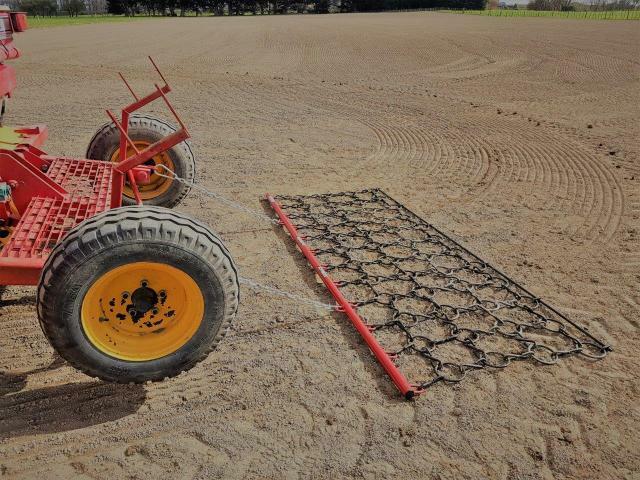 For extra tough Plain Chain Seed Cover Harrows, check out our Heavy Duty model here.